Fly-by to >> @ me you. Hi Vam, Hope all went well with your little op and that life is treating you well. All is good with me, I'm planning a little trip to bonny Scotland. I've never been and it is supposed to be beautiful up there. We (me and the brood, plus any partners) are just deciding on cottage or hotel. I'm favouring hotel, but it's a one-woman battle at the moment, so I'm gonna have to start bribing people. Unless the cottage comes with a live-in cook, then Hotel!! you know you just look nuts waving to yourself, don't you? 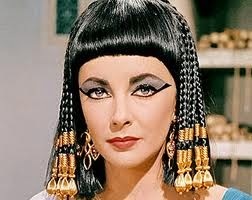 Cleopatra wrote: Does anyone remember Mellow on SOL? Very right wing, a strange woman. I'm not sure if I've ever seen her posting on Dogs. She got binned for suicide attention ages ago. I signed in on reading this, because on an old account, I found her email the other day. Was a surprise to see it tbh, and then to see you mention her. How did you know her? Oh, I must have known you then in another nic. I think I was Maiden on SOL. Yes, baptism of fire is fitting. People trolling you for daring to have your own opinions. There was one crazy lady who would start, a Canadian - I had a name for her ;) - and she did that to me. Mental. I left before they installed the pm system, so tfft! Danmasthpenny is who you mean, Stooo. He didn't like Cruiser at all, then again as Dean said, he could be vague in his posts but he could troll right back. He was 1/2 Chinese I believe. Saw a picture of him once. I remember mellow ... felt she was unwell in some way. Danmaspenny I liked him.. nice poster went for cruiser over something can't remember of hand . Haven’t seen Mavis cruet for a while. Missing in action? At the moment - every fucker. Guest wrote: Missing in action? At the moment - every fucker.